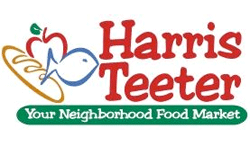 Here are all the deals that start at Harris Teeter on 6/8. There are several great deals this week and lots of good coupon matchups! If you find any other deals leave a comment and I’ll add it to the list. Also, in case you aren’t aware, get a $10 off $50 Harris Teeter coupon mailed to you from Recyclebank for 100 points (use zip 28203). Magnum Ice Cream Bar, 3 ct.